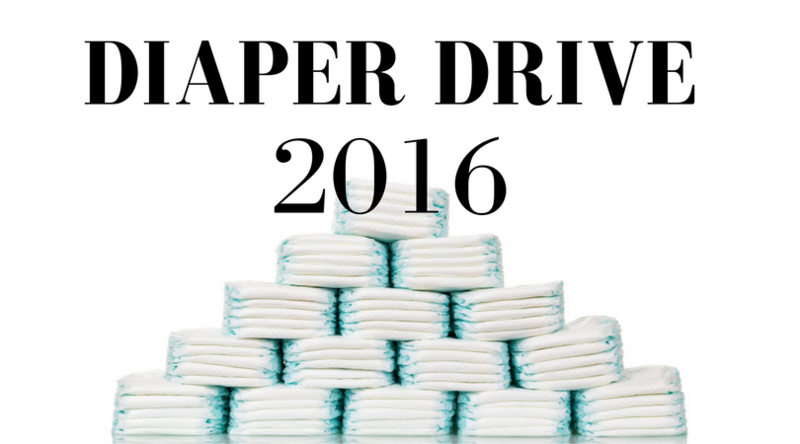 A Splendid Messy Life: Diaper Drive 2016! While we all know that November/Movember is the month of the moustache, I'm taking things in a different direction for the next 30 days. Sebastian may be well passed the diaper stage, but I still remember the extraordinary expense they cost us each month. I've done this once before, and I'm determined again to help out mothers in need by donating diapers to The Diaper Bank and raising awareness about the need for diaper donations. Two years ago I held my first diaper drive with the goal of collecting 1000 diapers. Thanks to the generosity of my friends and family, I was able to collect and donate 1402!! So this year I'm aiming higher. 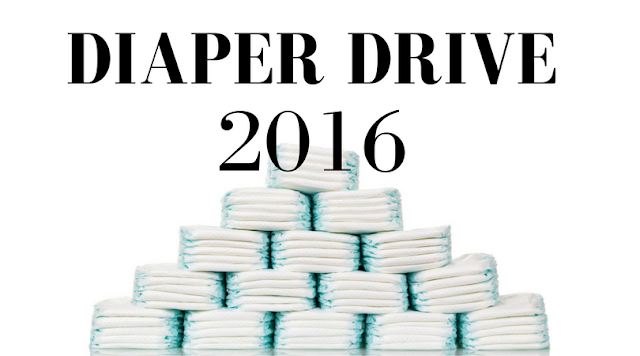 My goal is to collect 1500 diapers for donation by November 30th. The diapers can be new packages, opened packages, or even just loose diapers. Any size will do. Unfortunately, cloth diapers are not realistic alternatives for families experiencing diaper need so only disposable diapers are accepted by the Diaper Bank. If you'd like to participate (and I hope you do! ), you can give the diapers right to Rob or I when you see us, pass them along to someone who will be seeing one of us this month, or you can drop them off at the door of our house if we're not there. I love doing this drive in November because I'm so happy to know that a few more moms in the city will be able to spend less time worrying about diapers over the upcoming holidays and be able to spend more time making amazing memories with their little ones. So bring me your diapers (or even plan your own diaper drive) and help a mother out! PS - If you are in the US, check out the National Diaper Bank Network for information on how you can donate as well!